Powerful and contrasted, the rich taste of a true ristretto packs a coffee punch. 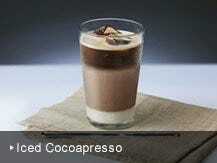 Enjoy first thing in the morning or after a meal: Nespresso’s ristretto blends combine flavor intensity with character. Serve in a typical small ristretto cup and experience coffee in its purest form. Typically drunk black with a dash of sugar, to taste. Wake to a delicious Espresso: a dose of quality Arabica and Robusta to deliver the perfect cup. The Classic system draws on Nespresso’s 25 years of coffee expertise and is designed to expertly extract the ground coffee beans, brewing up a deep and rich shot of Coffee topped with a smooth, thick ’crema’. A Lungo coffee is a longer-style Espresso drink, and Nespresso’s Lungo Grand Cru capsules guarantee flavor to the last drop. 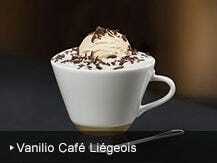 Lungo Coffees are rich in aromas and can be enjoyed tall and black, or mixed with milk. 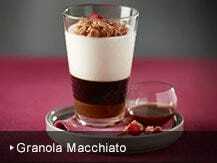 A smooth shot of Espresso with a foamy milky topping: a traditional Cappuccino marries the richness of Espresso with the featherweight pleasure of a milk mousse. 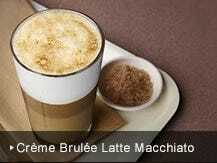 Master the art of Cappuccino and enjoy the unique character of each delicious variety of Grand Cru. Add foam from the integrated milk heating system, or whip up a froth with our Aeroccino milk frother accessory.